Red Sky Energy’s (ASX:ROG) counter-cyclical investment strategy has borne fruit, with the ASX-listed company picking up $US50,000 ($A69,300) of revenue per month for an $800,000 outlay. It has picked up the Gold Nugget 1-23 well and surrounding Gold Nugget acreage in Wyoming, in the proven Wind River Basin. 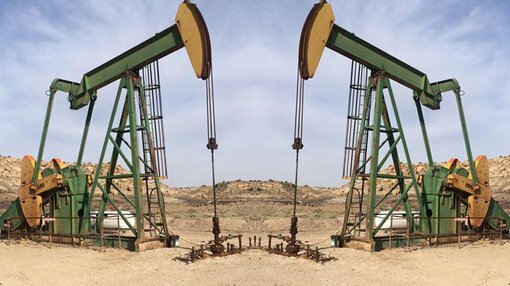 At the moment the well has production of 150,000 cubic feet of gas per day, but ROG told shareholders that it was confident it could work over the well to get production to up to 500MCF per day. The well has an overall recovery estimate of between 2 billion cubic feet of gas to 5BCF. ROG says only 10% of the recognised porosity has been produced, leaving an additional 90% yet to be produced. More broadly, the Gold Nugget project upon which the Gold Nugget 1-23 well sits spans 320 acres and taps the Lower Fort Union and Lance formations. ROG said that the two formations could contain as much as 3000ft of net pay – raising the prospect that ROG could seek to drill additional wells in the area in the longer term. “Whilst development is unlikely in the short to medium term within Red Sky, the company now has an asset that can provide substantial leverage to rising gas prices and will assess a number of pathways as how best to develop it including joint venture opportunities,” ROG chairman Kerry Smith said. It has agreed to pay $800,000 for the well and acreage, by a combination of cash and shares yet to be determined. However, ROG said that it was seeking to tie up a loan facility to complete the deal which would see it unlikely to tap shareholders for equity. ROG managing director Clinton Carey has previously told Finfeed.com that it was seeking to pick up assets in the US going for “cents in the dollar”. “It’s the Board’s intention to look at and purchase additional oil fields that we can buy currently that are profitable for cents in the dollar,” he said. Carey said small-cap oil and gas companies operating in the US now had the opportunity to build portfolio positions simply not possible during the recent so-called “shale gale” in the US. In a wide-ranging interview, Carey touched on the advantages and disadvantages of unconventional and conventional oil drilling, and outline ROG’s plans for the next couple of years. Earlier this year, ROG acquired the Cache oil field in Colorado. He said while it was still early stage, he expected ROG would be producing oil at $20 per barrel, with forecast production of 350 barrels of oil per day. Carey also said that while the focus was on oil, it would seek to diversify its portfolio by looking for gas. “In order to diversify our portfolio a little, we’re looking at several gas plays,” he confirmed, adding that ROG was in active discussions with financiers to fund potential acquisitions. He also hosed down speculation that ROG would seek to conduct a share consolidation, saying despite there being over five billion shares on offer that “it isn’t the intention of the Board” to conduct one. “If we were going to do that, we would have done it prior to the last round of funding,” Carey said.